Combine the comfort of a hoodie with the look of your favorite horror movie icon with the Nightmare on Elm Street Freddy Krueger Zip-Up Hooded Costume! 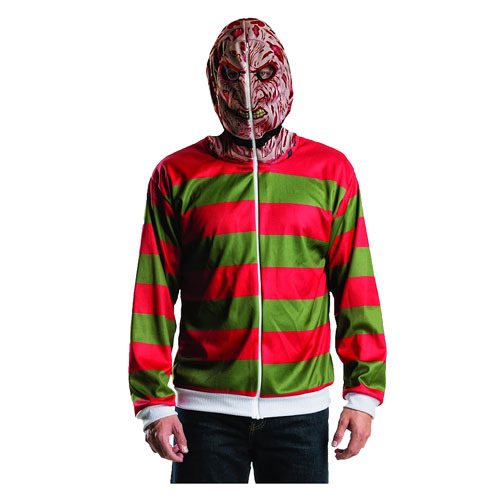 This comfortable hoodie features the recognizable red and green stripes of Freddy Krueger's sweater. When you zip it up over your face you can look out through the eye holes and you'll look just like Robert Englund's Freddy Krueger from the A Nightmare on Elm Street movies! Ages 17 and up.